The OFFICIAL JAMES BOND TWITTER FEED has been doing occasional quizzes about the Bond film series of late. One such quiz was took place May 15 and the question was who played Moneypenny the most times in Bond films. Not the most difficult quiz, given the correct answer was Lois Maxwell at 14, with Samantha Bond the next highest at four followed by Caroline Bliss at two and Naomie Harris at one (going up to two when SPECTRE comes out in November). On June 12, there was another quiz. Compared to the Moneypenny question, the gap between No. 1 and No. 2 is narrower, but Bernard Lee is the only actor to play M with double digit appearances at 11 while Judi Dench is runner up at seven. We mused about this on Twitter and a reader suggested these quizzes may well be aimed at those with only a passing knowledge of James Bond. So perhaps the intent is to make Bond more accessible to a broader audience. What actor has played Q the most times in the Bond films? What is James Bond’s code number? James Bond has a license to do what? 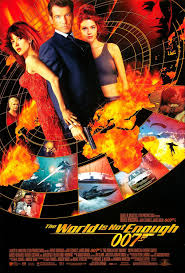 The World Is Not Enough, the 19th film in the 007 film series made by Eon Productions, marked a transition. Producers Michael G. Wilson and Barbara Broccoli hired a director, Michael Apted, with little experience in action movies. Apted was brought on because of his drama experience. The producers also hired a new writing team, Neal Purvis and Robert Wade, to develop the story. They’re still in the world of 007 15 years later. The script development established a pattern the duo would soon be familiar with. They delivered their script, which would be reworked by other writers. In the case of The World Is Not Enough, Dana Stevens, Apted’s wife, revised the story. Another scribe, Bruce Feirstein, worked on the final drafts. Purvis, Wade and Feirstein would get a screen credit. Meanwhile, Judi Dench’s M got expanded screen time, something that would persist through 2012’s Skyfall. 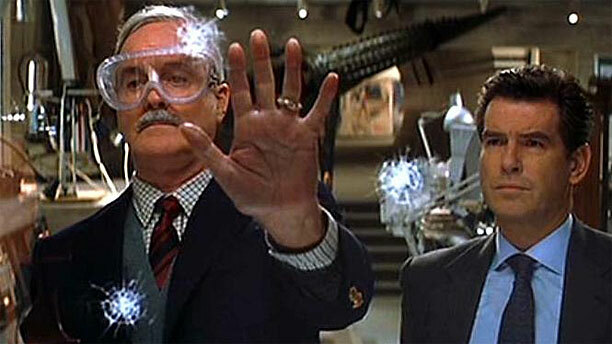 The film also marked the final appearance of Desmond Llewelyn as Q. John Cleese came aboard as Q’s understudy. Pierce Brosnan, in his third 007 outing, was now an established film Bond. In interviews at the time, he talked up the increased emphasis on drama. In the film, Bond falls for Elektra King, whose industrialist father is killed in MI6’s own headquarters. But in a twist, Elektra (played by Sophie Marceau) proves to be the real mastermind. The movie tried to balance the new emphasis on drama with traditional Bond bits such as quips and gadgets, such as the “Q boat” capable of diving underwater or rocketing across land. Some fans find the character of Dr. Christmas Jones, a scientist played by Denise Richards, over the top. Sometimes, the dual tones collided. Cleese’s initial appearance was played for laughs. In the same scene, however, Q, in effect, tells Bond good-bye in what’s intended to be a touching moment. It was indeed the final good-bye. Llewelyn died later that year as the result of a traffic accident. The movie was a financial success, with $361.8 million in worldwide box office. Broccoli and Wilson, meanwhile, would return to the idea of increased drama in later entries after recasting Bond with Daniel Craig. When is it time for 007 actors, or fans, to ‘move on’? John Cleese, who appeared in two James Bond movies, has let it be known he doesn’t think that highly of 007 films since he departed the series. Cleese is promoting a new book, but his association with Bond (in 1999’s The World Is Not Enough and 2002’s Die Another Day) keeps coming up in stories run by DIGITAL SPY SHORTLIST.COM and DEN OF GEEK among other websites. Here’s an example of what Cleese has said. It’s from ShortList.com, and these comments have been picked up by other sites. I didn’t see [Skyfall], because I have criticisms of the new Bond movies. Two things went wrong: the plots became so impossibly obscure that even professional writers couldn’t figure out what they were about; and the action scenes, which are supposed to make the adrenaline run, go on far too long. They discovered these movies were popular in places such as the Philippines and South Korea, and so they dropped the humour because no one there is going to understand jokes about the English class system. They’re financially incredibly clever, as the take goes up by $100m every movie, but one of the great things I’ve learnt in the last few years is just how much money spoils everything. Cleese made some similar comments in June in a RADIO TIMES interview. In turn, some 007 fans on social media have reacted by saying Cleese is bitter because he wasn’t included in the Daniel Craig reboot, starting with 2006’s Casino Royale, he should “just move on,” or simply “shut up.” Skyfall was a billion-dollar blockbuster, Casino Royale and Skyfall got some of the best reviews of the series, etc. Of course, if you spend enough time on social media or 007 message boards or other spots on the Internet, you’ll see fans debate things going back 30, 40, almost 50 years. For example, many still don’t like how 1967’s You Only Live Twice jettisoned the plot of Ian Fleming’s novel. Some still strongly criticize the performances of Roger Moore, who hasn’t made a Bond movie since 1985. Some feel the movies went wrong in the early 1970s when the humor element increased. And so on and so forth. A few questions: When is it time to move on? Ten years? Twenty? Longer? If Cleese should move on, should fans do so as well? 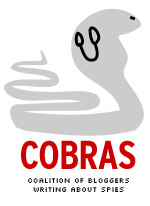 Are Cleese’s complaints substantially different than the complaints fan air on the Internet? Where’s the line between being a devoted fan and taking things too seriously? The answers are going to vary from fan to fan, of course. But Cleese has, probably unintentionally, given something for fans to think about. A decade ago this month, the 20th James Bond movie, Die Another Day premiered. In hindsight, what was going on behind the scenes was more interesting than the movie itself. The film turned out to be actor Pierce Brosnan’s final turn as 007. The actor, in publicizing the movie, indicated that producers Michael G. Wilson and Barbara Broccoli wanted him back for a fifth appearance. The co-bosses of Eon Productions, however, may have been undergoing a creative mid-life crisis. In interviews years after Die Another Day came out, Wilson and Broccoli described the early 2000s as personally frustrating. “I was desperately afraid, and Barbara was desperately afraid, we would go downhill,” Wilson TOLD THE NEW YORK TIMES IN OCTOBER 2005. Apparently, the duo felt at this point they were still carrying the flame for Albert R. Broccoli, the co-founder of Eon. “We need to generate something new, for ourselves,” Wilson told the Times in ’05. In any case, Die Another Day was the end not only of Brosnan’s run but of the series that had begun 40 years earlier. When Bond next appeared onscreen, in 2006’s Casino Royale, Eon would start over with an entirely different continuity and a new Bond, Daniel Craig. Die Another Day contained numerous references to the 007 series, including a sequence where Brosnan-Bond and Q (John Cleese) are in a storage area of gadgets, including the Thunderball jet pack. Q gives Bond a watch with a laser beam (Bond’s 20th watch, we’re told). Halle Berry as Jinx, a U.S. operative, made an entrance in a bikini, modeled after Ursula Andress’s first appearance in Dr. No. The movie also suffers from personality disorder. The first half is more or less serious (with bits of humor) and a de facto adaptation of Ian Fleming’s Moonraker novel. The second half veers into fantasy with an invisible car and Bond barely staying ahead of a tidal wave. 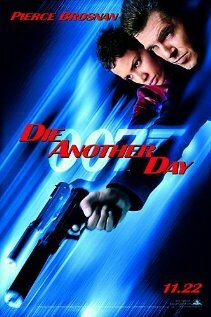 At the box office, Die Another Day was a hit, with almost $432 million in worldwide ticket sales, a 19 percent jump from 1999’s The World Is Not Enough. 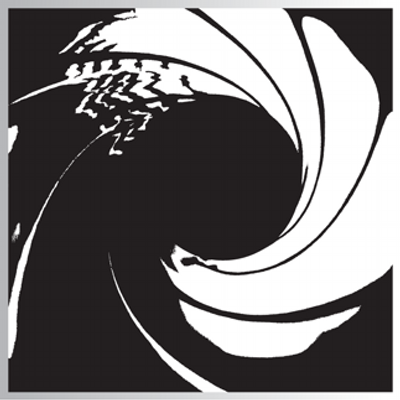 In the U.S. and Canada, the 20th 007 film sold $167.4 million in tickets, a 27 percent increase from the previous 007 entry. But that didn’t prevent the abrupt end of the Brosnan era. Ben Whishaw will play Q in Skyfall, the BBC reported, citing the actor’s agent. Whishaw, 31, had been previously announced as being in Skyfall’s cast with no details provided about his character. Whishaw would be the youngest Q in the Eon Productions series. Peter Burton was 41 when he played the character (referred to as Major Boothroyd) in Dr. No. Desmond Llewlyn was 48 when he made his debut (still billed as Boothroyd) in From Russia With Love. (Calling the character Q didn’t occur until Goldfinger.) John Cleese was 63 when 2002’s Die Another Day premiered, where he played Boothroyd’s sucessor as Q. Cleese had appeared three years earlier in The World Is Not Enough, where his character was Q’s second in command. No word whether Whishaw’s Q would also be the Boothroyd character, or simply go unnamed beyond the Q designation.